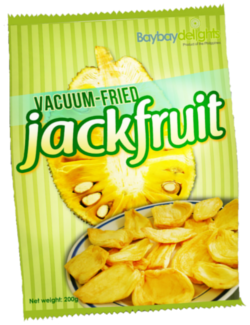 Baybay Delights is the name given to vacuum-fried and dehydrated jackfruit snacks that retain the natural smell, color, and sweetness of a well-chosen jackfruit variety, the EVIARC Sweet of the Department of Agriculture in Eastern Visayas, Philippines. The Baybay Delights is a dream-come-true for all Baybayanons to have a delicacy they can call their own. Healthy Delight in Every Bite! 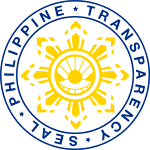 The Department of Agriculture Field Unit No. 8 (DA-RFU-8) chose jackfruit in 1996 as its banner crop under the High Value Commercial Crop (HVCC) program. Under the Jackfruit Research and Development Program, the varietal collection and selection started. This resulted to the establishment of the Jackfruit Germplasm Collection. Selected varieties were mass produced and introduced to interested farmers under the Plant Now Pay Later (PNPL) Program. Five to six years later, the jackfruit plants under the PNPL program have started fruiting.